Born from a citizens’ initiative, the Refugee Food Festival is an annual project allowing restaurant owners to open their kitchens to refugee chefs. 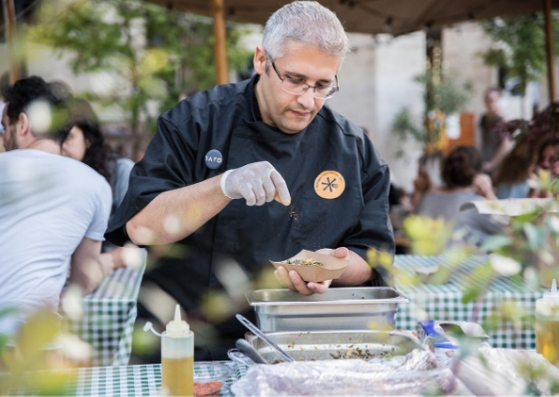 The first Refugee Food Festival, founded by the Food Sweet Food charity with the support of the UN Agency for Refugees, took place in Paris in June 2016. Perceptions around the welcoming of refugees and refugee status. 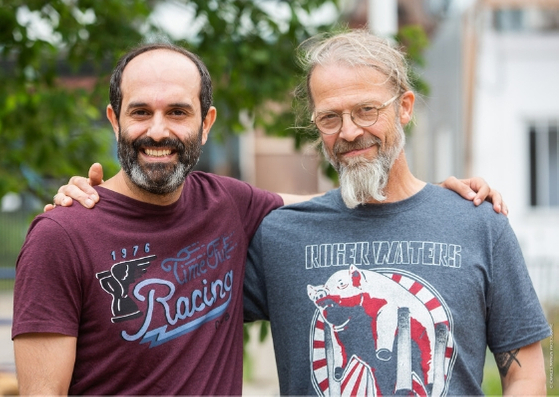 The integration of refugee chefs through training and a community of committed chefs and restaurant owners. Civil society, and get citizens together around the dinner table, a universal place of peace and equality. 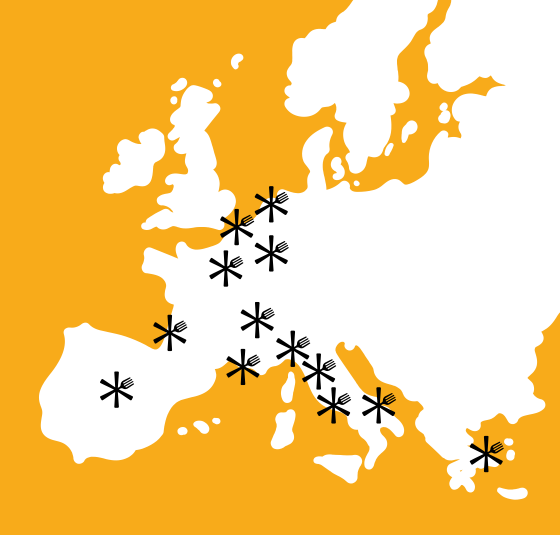 We’re proud to announce the 4th edition of the Refugee Food Festival in 15 cities from 9 countries. 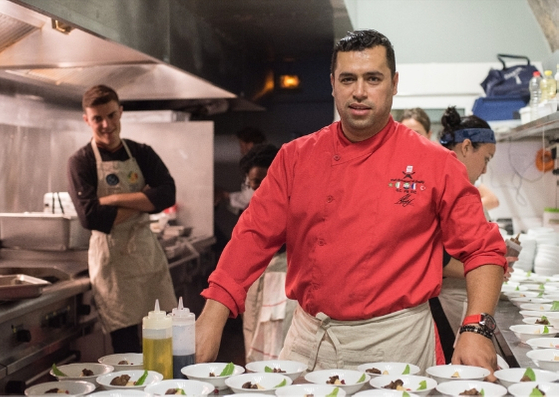 More than 100 refugee chefs will collaborate with restaurants to share their love of food! Every year, around 20th June (World Refugee Day), refugees, chefs and citizens come together to participate in the Refugee Food Festival. This gourmet event aims to foster socio-professional integration of refugees, change perceptions and unite citizens around the dinner table. In 2016, 2017 and 2018, the Refugee Food Festival brought together 16 European cities, 30,000 committed citizens, and more than 100 chefs and restaurants. The Refugee Food Festival's 4th edition will be international, and will take place in about fifteen cities. The list of cities hosting the festival in 2019 will be revealed in March. Interested in organising a Refugee Food Festival in a new city or joining an existing team? Take a look at the toolkit developed with the support of UNHCR’s Innovation Unit here. In France, beyond the annual festival, we test and develop activities all year long to foster the socio-professional integration of the festival’s cooks: catering services, culinary events, cooking shows, cooking workshops, conferences and testimonials. Through catering services and cooking events (cooking shows, workshops and cooking classes), the festival's chefs acquire new experiences and build their professional network. First ever Parisian restaurant and training place dedicated to refugee cooks, La Résidence welcomes a new refugee chef to run its kitchen every 2 to 6 months. Located in the heart of Ground Control, Paris (12), it gives chefs the opportunity to work on their professional project, under the kind patronage of chefs Stéphane Jego (L'Ami Jean) and Mohammad Elkhaldy. In order to raise awareness on the refugee cause, educate about the refugee status and encourage refugee integration, we thrive to valorize the chefs' cultural (including culinary) heritages. Sign up to keep track of upcoming events and to find out more about what we’re up to! "The Refugee Food Festival changed my life, it gave me the opportunity to collaborate with the greatest chefs and it allowed me to become an ambassador of Syrian culinary heritage." "The Refugee Food Festival achieved its mission and changed my life, and that of many refugee chefs. You gave us a future and you are writing a beautiful page in the history of European solidarity." "The Refugee Food Festival is a positive initiative that brings together citizens and refugees. Thanks to this experience, I was able to meet beautiful people and to take confidence to rebuild my life with my family here, in France"
We have been working since september 2018, with the UNHCR and the specialized agency (IM)PROVE , on a social impact measurement that allows us to accurately evaluate the impact of the annual festival on the professional integration of the participating chefs and on public awareness. The Refugee Food Festival had a significant impact on the assurance of 91% of participating chefs, and was therefore an event that allowed them to regain self-confidence. 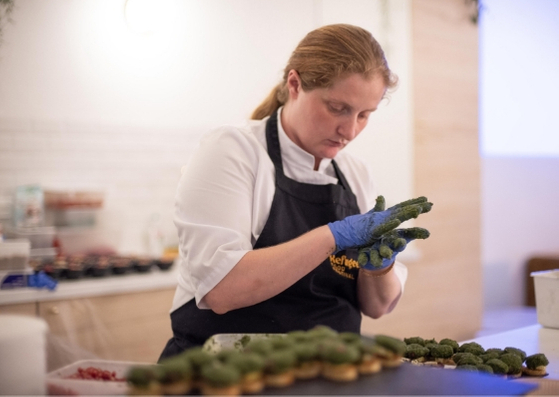 59% of the chefs gained access to at least one professional opportunity (restaurant, training, opening their own restaurant), thanks to the Refugee Food Festival. 70% of the participants believe that the Refuge Food Festival has made a positive difference in their perception around the welcoming of refugees, and refugee status. * Figures from the impact measurement carried out by (IM)PROVE in 2018, and supported by the UNHCR.